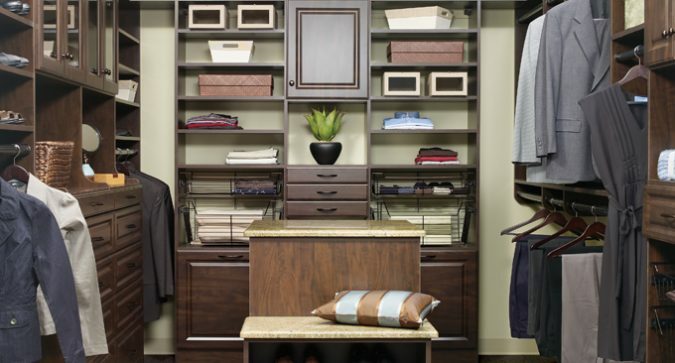 Let’s face it, most of us spend too much time combing through our disorganized closets in search of a favorite shirt, shoes or tie for a special occasion, only to end up empty-handed and frustrated. 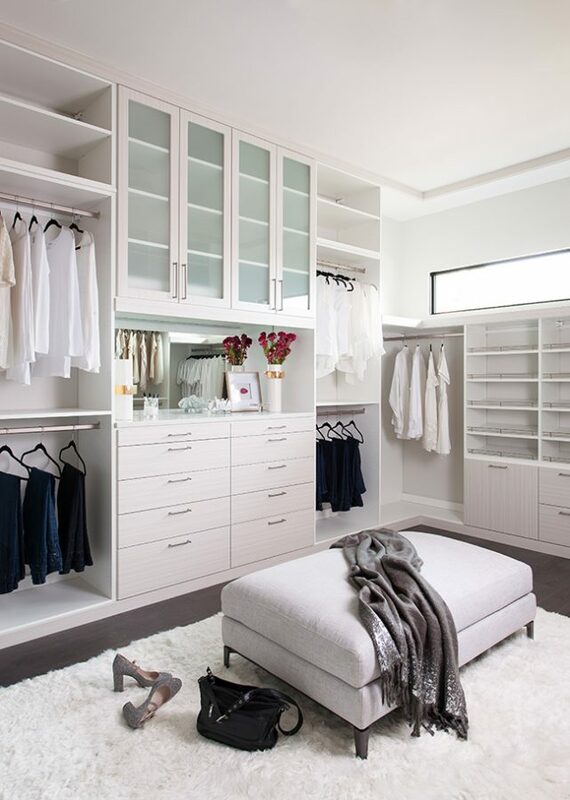 If you’ve ever said, “I have nothing to wear,” even though your closets are busting at the seams, More Space Place has the answer: customize. 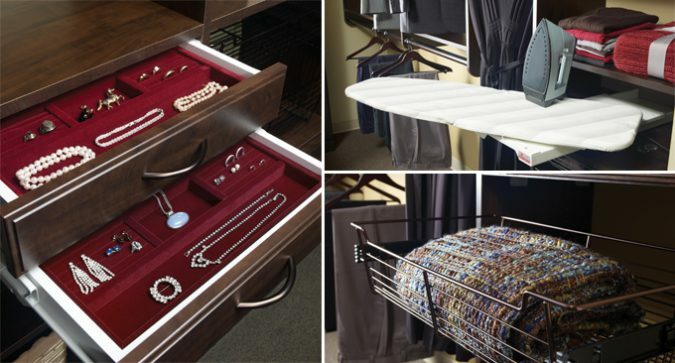 Create the closet of your dreams with an extensive selection of organization systems that are easy to use, durable, and available in a variety of styles and finishes. 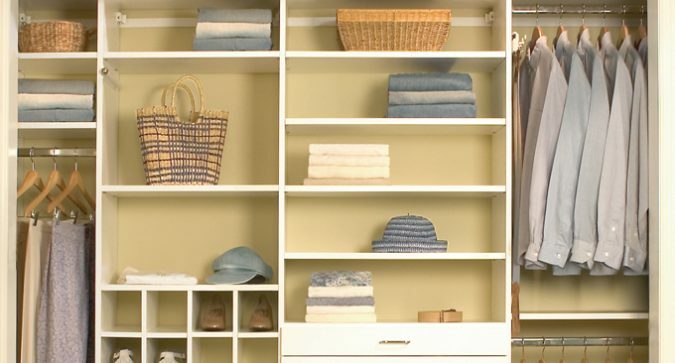 Choose from wall-hung or floor-based closet organization systems, or even a combination of both, tailored to fit your needs while maximizing the space you have. 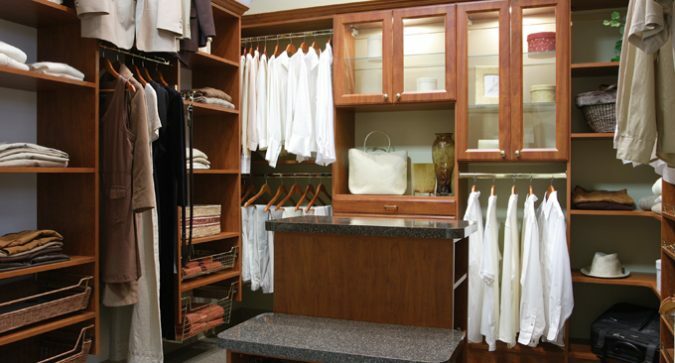 At More Space Place, we offer an infinite number of stylish, practical closet systems. Whether you are looking for a classic, no-nonsense closet look, an innovative, creative storage area or anything in between, we can design it. You’ll enjoy the flexibility our closet systems have to offer, with versatile components custom-built for easy access, storage and functionality. 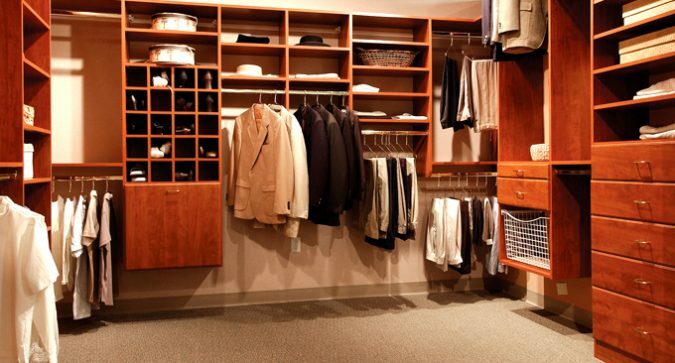 Our closet organization systems are suited for your needs including: drawers and shelving, baskets and hampers, tie and belt racks, and even retractable mirrors. More Space Place uses professional installers to make sure all wall-hung and floor-based, built-in closet organization systems are properly installed. Our experts are specially trained to assemble every square inch of your one-of-a-kind custom closet, so that it’s a perfect fit for you.